In the spirit of Passover and our own sense of irony, we journeyed back to Egypt this Spring Break. That is, we hung out in Illinois’ “Little Egypt” where the Mississippi flows past Thebes on its way to Cairo. We of course have a few stories to tell and would like to begin at Cave-In-Rock, Il. 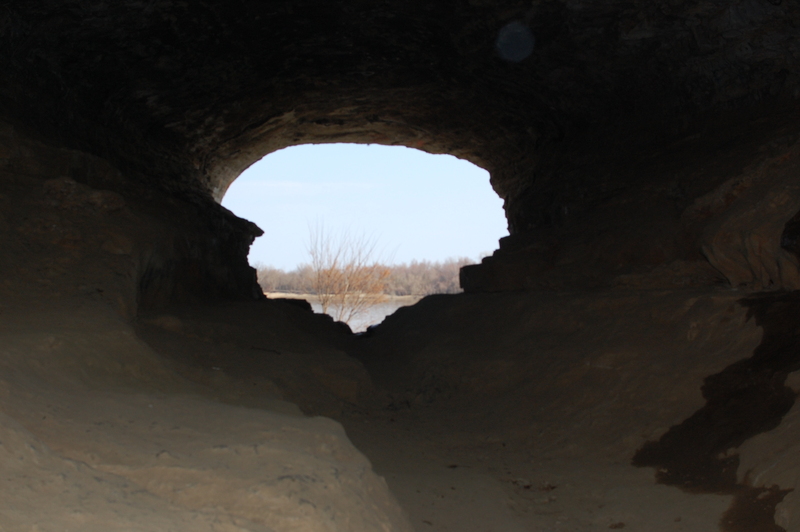 Cave-In-Rock is known for their cave in a rock adjacent to the Ohio River (which later meets up with the Mississippi at Cairo). Cave-In-Rock is just a tad west of the River to River trail’s beginning at Battery Rock (the River to River trail is a roughly 160 mile journey that wanders over some of the most beautiful land in the country). Lewis and Clark made some notes about the cave in their journey west and it has since been used by river pirates, Confederate soldiers, vagabonds, a movie or two, and at least one church. 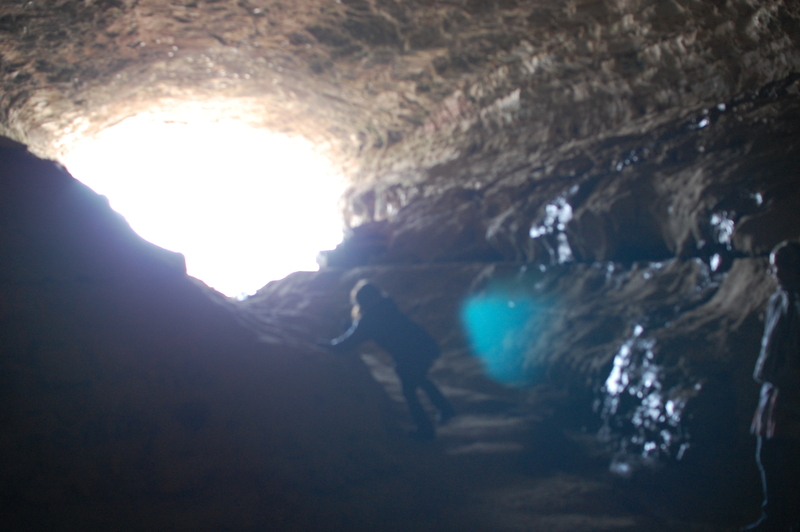 Today it is an easily accessible wonder with a good amount of spray painted graffiti on the cavernous walls. Like most attractions in Southern Illinois there were no rangers and few signs offering information related to the attraction. Just the cave, a few rusty playgrounds, a diner not yet opened for business, and a few apartment style rooms which offer great views of the river and enough room to spread out (Hennacornoeliday recommended). 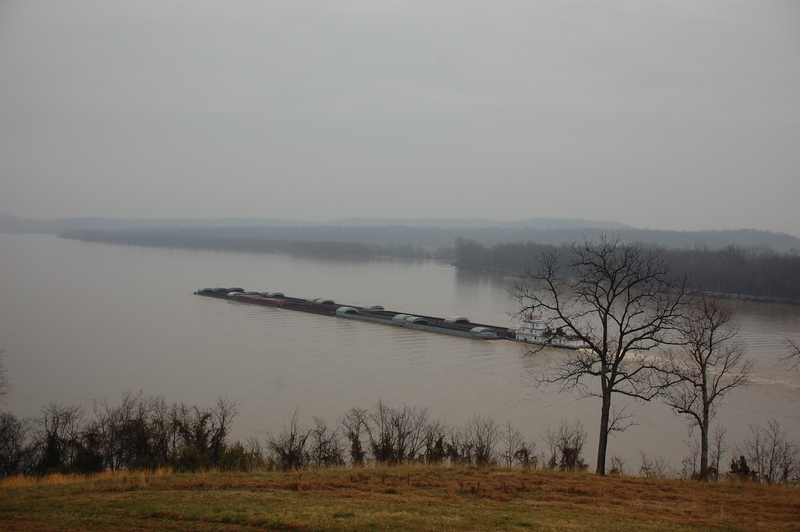 This entry was posted in River Towns, Southern Illinois and tagged Cave-In-Rock, Southern Illinois by hennacornoelidays. Bookmark the permalink.